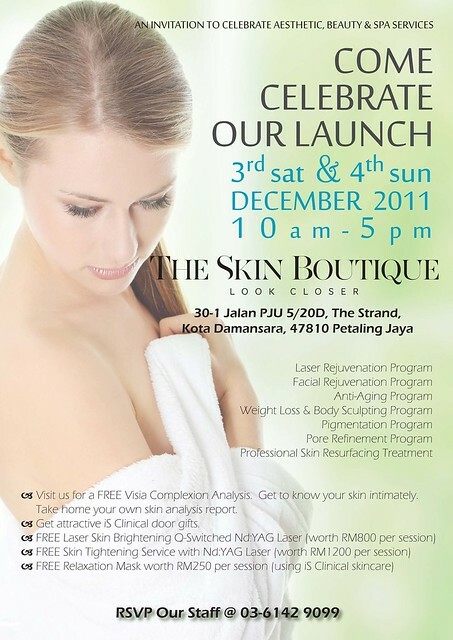 Even if you aren’t interested in the free facials, Drop by anyway and check out the cool laser treatments. It’s really quite interesting because I just got zapped and am waiting to see the results! PREVIOUS POST: Rant: My Burberry Lip Cover lipstick has started to stink after just 6 months! I won’t be in town this weekend so I hope it’s okay to claim a spot for my mom instead. She would be on her own this weekend so I’m sure she will be able to go and make an appointment this weekend coz she doesn’t like to stay at home. Interested to try this…Is it suitable for me that currently have pimples /acne? Hey, I would love to go for free facial. Hi, I would like to go for free facial! Sorry Jade, its all full. Better luck next time! PB, I won’t be able to make it for the launch, but tell me more about the laser treatment you got. I’m very curious about these things! Bah…i am late! would love to go!!!!!! Anyway, please do tell us more about laser Paris! also, what brand’s product they are using??? Erm the facial is using products by Anubis (I’m not familiar with it) and I will share about the laser in time to come! 😉 Sorry you missed this Gin – better luck next time!